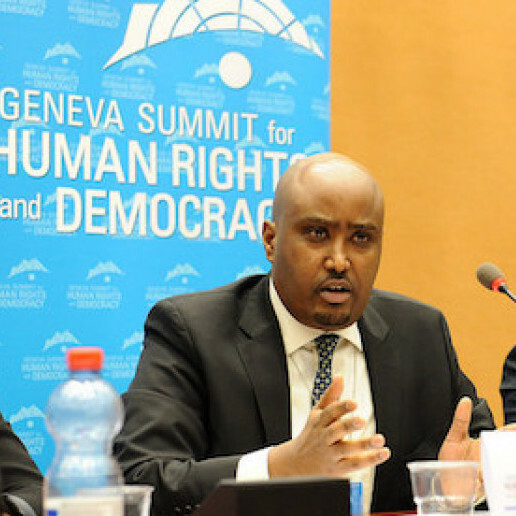 Dr. Daniel Mekonnen is a specialist of international human rights law. He is also recipient of the 2015 prestigious award of “Outstanding Academic Titles,” bestowed by the American Library Association, for his co-authored book, The African Garrison State: Human Rights and Political Development in Eritrea (published in 2014). He comes with a cumulative work experience of nearly 20 years in human rights teaching, research, advocacy and adjudication. He speaks frequently in important international forums and events, such as the UN Human Rights Council in Geneva. His opinion and interviews have been widely aired/covered by Al-Jazeera, BBC, Boston’s NPR News, Die Wochenzeitung, Deutsche Welle, International Business Times, IRIN News, Klassekampen, Neue Luzerner Zeitung, Neue Zürcher Zeitung, New Europe, Radio France International, Radio RaBe Bern, Russia Today, SBS Radio Australia, Swiss Radio and Television (French, German and Italian Services), The Guardian, Tages-Anzeiger, Tribune de Genève, TRT World, Zofinger Tagblatt, and Voice of America (VOA).